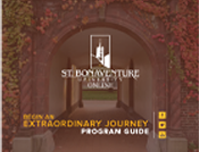 If you're interested in earning your Albany MBA, consider St. Bonaventure Online as your first choice. Our AACSB-accredited online MBA program can not only give you the credentials to boost your career, it will also give you the moral capacity to consistently make ethical business decisions that can better the world around you. St. Bonaventure can help you get to where you want to be. The online Master of Business Administration program for Albany, NY residents uses a 7 week term format, with two terms in each semester. Most Albany residents can have the online degree requirements completed in approximately 2 years. Students with certain academic achievements may be able to have the online MBA requirements in as few as 20 months. Albany is the capital of New York and was actually the first European settlement in the state, settled by Dutch colonists in 1614. Albany has one of the US's oldest town charters and is one of the oldest surviving colonies of the original 13. Albany was the site of the US's first steam railroad and used to be the largest producer of lumber in the US. Today, Albany is a center for economics as it is home to many Fortune 500 companies. Albany's job market is booming with an influx of technology-related jobs, so an online MBA degree from New York's own St. Bonaventure University will do very well to put you ahead of your colleagues.